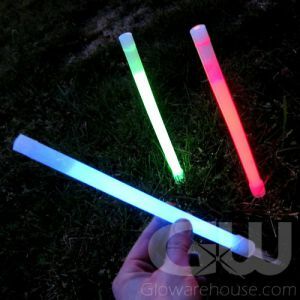 - 14" LED Light Stick Markers with Stakes! 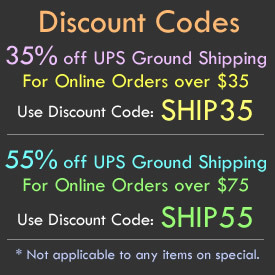 - Easily Light Up Paths, Golf Courses, Playing Fields! 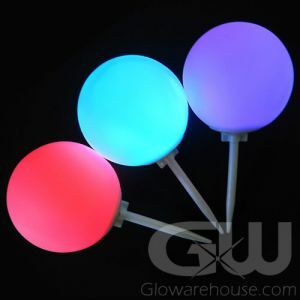 - Super Bright Battery Operated LED Light! - Glow Golf! Light Up Night Runs and Glow Sports! Light up the Night with 14" LED Ground Markers! 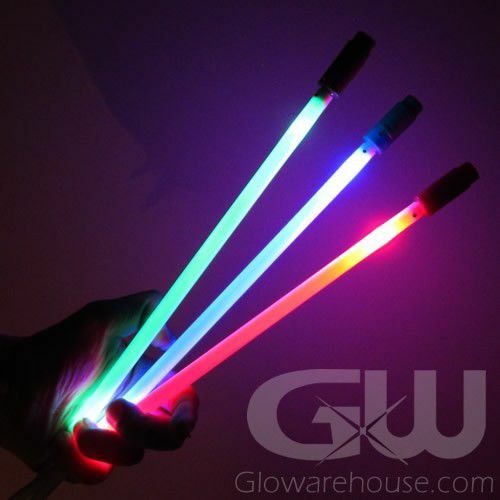 The Glowing LED Markers with Ground Stakes make it easy to light up the golf course for glow golf or set up your own glowing soccer or football field or even light up your volley ball or glowing badminton court! LED Marker Sticks also make great camping light sticks that can be used to mark your tent or as trail or hazard markers. Light up paths for guests at weddings and parties or special outdoor events. 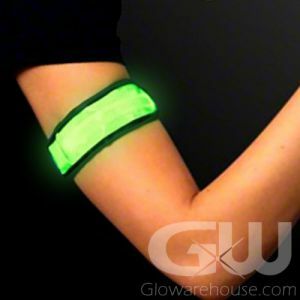 You can also use the Glowing Markers to outline your Glow Marathon or Bike Ride routes! 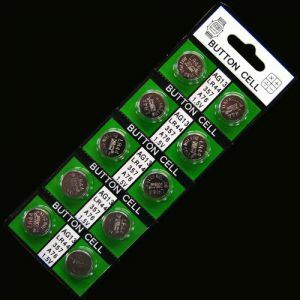 Each glow marker comes with 3 pieces of AG13 Batteries that are already installed and are replaceable. And you can choose from three different light modes: Steady Light, Fast Flashing and Slow Flash. 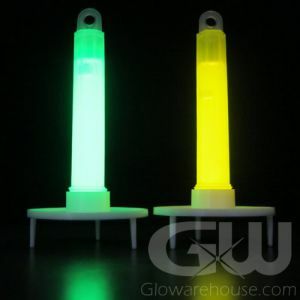 So Light your way tonight with Light Up Ground Stake Markers!